Katie and Lauren’s earliest childhood memories include each other and Block Island. They were introduced well before they can remember, likely plopped down on Mansion Beach next to each other with a couple of sand toys. This friendship is one of the few rare ones in life, one where you grow closer over time and experience all the exciting moments together. Katie and Lauren have taken their friendship in the best direction yet. As two Block Island Brides, and as two people who stood by each other on their wedding days, they know all it takes to make a dream, Block Island Wedding come to life. They look forward to being by your side on your special day too. 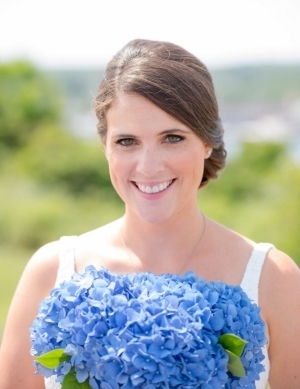 Katie is from New Hampshire, and grew up taking week long summer vacations with her family to Block Island. She met her husband at WNEC, and pursed her passion for college athletics after graduation. She has worked for several athletic conferences, overseeing large scale events and tournaments. She got married on Mansion Beach, followed by a reception near Rodman’s Hollow on August 10, 2013. Lauren was raised in Rhode Island, and spent summers on her parents boat anchored in New Harbor. During college she came back to Block Island to work at The National Hotel. After graduating from the University of Delaware, she started a career in the restaurant and event space, followed by a career in the beverage industry. She got married at the Sullivan House on August 22, 2015.